Germany, as one of the Europe’s biggest and most powerful countries, has about 60 international airports. Since it would be exaggeration to enumerate and describe them all, we will provide you a list of the busiest ones among them. Keep in mind that not always the larger airports are also the most convenient as well, so make a routine check up prior to your journey. The Frankfurt Airport is a major international airport located in the Germany’s fifth-biggest city. It is run by Fraport and serves as the main hub of Lufthansa airline company, Condor and AeroLogic. It is by far the busiest German airport as well as the 4th in Europe, following London Heathrow, Paris Charles de Gaulle and Istanbul Ataturk airports. It serves almost 300 destinations worldwide, making it the airport with the most international destinations around the world. You can reach the city centre by train or bus. 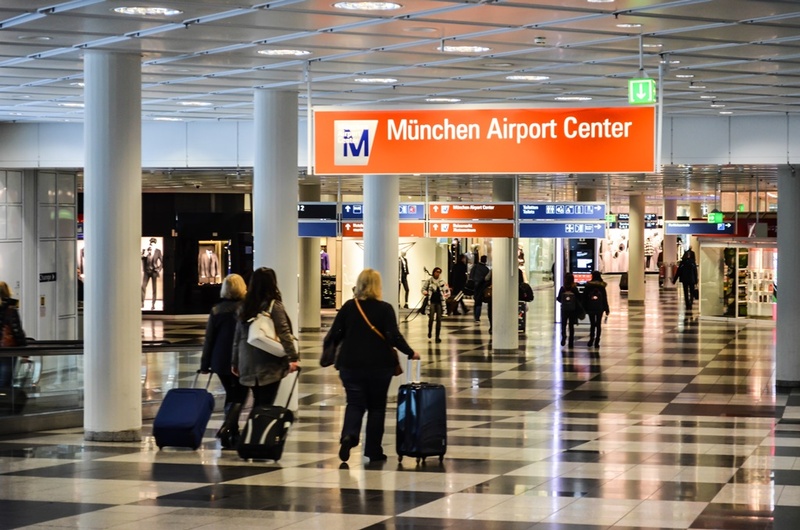 The airport in Munich is situated near the capital of Bavaria. It is country’s second busiest airport in passenger traffic (after FRA) and 7th in Europe. It features more than 200 destinations in over 60 countries all over the world. It serves as a secondary hub of Lufthansa and its partners Star Alliance. The airport has a good connection with the city centre. The Düsseldorf Airport is the international airport of the capital of the German state North Rhine-Westphalia. It is located in the Germany’s largest metropolitan area. The country’s third busiest airport serves as a hub of Air Berlin and Eurowings. The Berlin Tegel Airport is the main international airport of Berlin, Germany’s capital. It serves as a hub of Air Berlin and as a base for Germanwings. The airport features flights to many metropolitan and resort destinations in Europe as well as some international lines. It is situated in Tegel, northwest of Berlin. The airport is due to close when the new Berlin Brandenburg Airport opens, which is scheduled between late 2017 and late 2018. The Hamburg Airport is the airport serving the second-largest city in Germany, located only 8.5 km away from the city centre. It serves as a base for Germanwings, Condor and easyJet. It features flights to 120 destinations, including Dubai, Newark and Tehran. The airport is not to be mistaken for the nearby private Hamburg Finkenwerder Airport. With over 10 million passengers, the Stuttgart Airport is the country’s sixth busiest airport and serves as an important hub of Germanwings, offering flights to many European destinations as well as a long-haul service to Atlanta. The airport is located 13 km south of the city centre and it is connected with the airport by suburban trains S2 and S3. See your transportation options here. 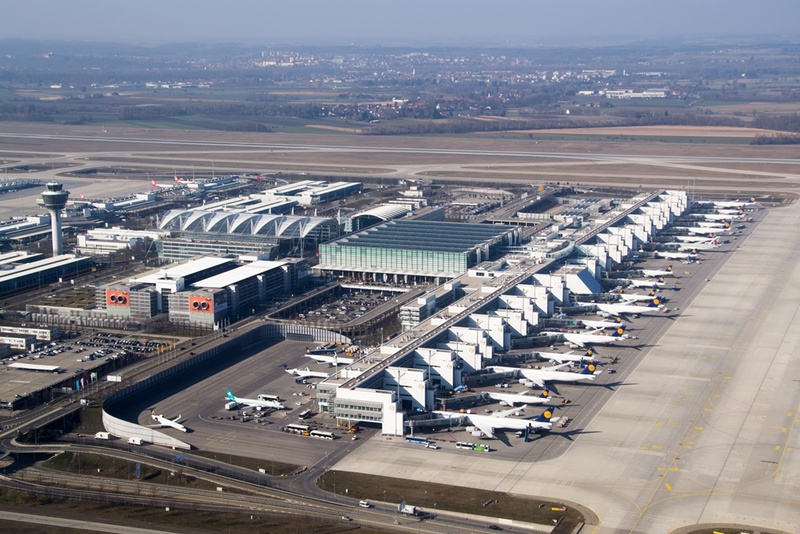 This major international airport serves both Cologne and Bonn, large German cities. Its traffic units combine cargo and passengers, whose number gave it a rank of Germany’s fifth airport (seventh in passenger traffic, though). The airport is located 15 km southeast of Cologne and 16 km of Bonn. It serves as a hub of Eurowings, Germanwings, FedEx Express and UPS Airlines. It is also a host of several space agencies which train astronauts there for space expeditions. Check here how to get to Cologne or to Bonn from the airport. The Berlin Schönefeld Airport is the secondary international airport of German’s capital. It is situated 18 km southeast of Berlin. It is the smaller one of the city’s two airports and a base for Condor, easyJet and Ryanair. It is planned to incorporate one part of the airport’s existing infrastructure into the new Berlin Brandenburg Airport scheduled to open in a year (Or maybe two or three years). According to the plan, its terminals are to be used until at least 2023 for low-cost airlines as part of the new airport. EuroAirport Basel Mulhouse Freiburg is an international airport situated 3.5 km northwest of Basel, Switzerland, 20 km southeast of Mulhouse in France and 46 km south of Freiburg in Germany. Officially it is located in France near the Swiss and German borders. The airport serves as a base for easyJet Switzerland and Belair and features mainly flights to European leisure destinations. Check how to get to Freiburg city center from the airport. The Hannover Airport is the international airport near Hamburg, the capital of the Lower Saxony state in Germany. It is located in Langenhagen, 11 km north of the Hannover city centre. The airport provides connections to Europeans metropolitan and leisure places and serves as a hub of Germanwings, Condor, SunExpress Deutschland and TUIfly. Hannover Airport is connected to the city centre by local bus line 470 and S-bahn train S5. More information about the transportation from the airport here.